The federal judge who oversaw the Ballghazi case, vacating Tom Brady’s four-game suspension while legally shredding whatever integrity was left of the NFL’s arbitration apparatus, entered more letters from the public into the case’s docket yesterday. This batch is smaller, not quite a dozen letters, and includes a few from after the verdict was rendered. 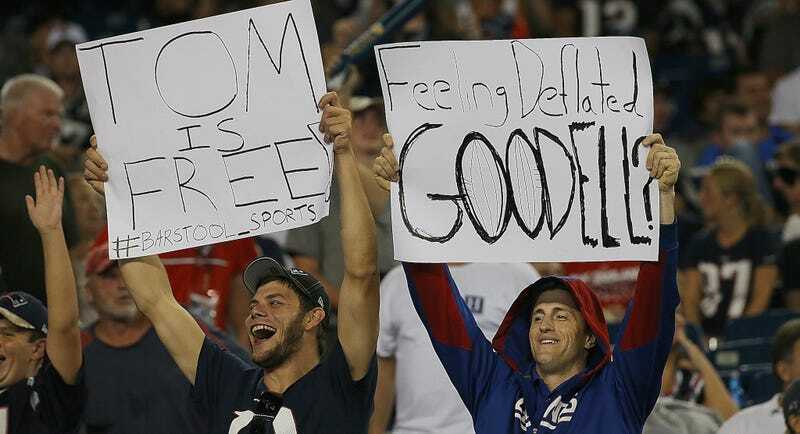 As expected, Patriots fans found all sorts of creative reasons why U.S. District Court Judge Richard Berman was right, others found their own logic for why Brady should be punished, and once again a teacher felt the urge to weigh in. There’s even one person who tried to intervene as a “friend of a court,” but her request was denied because it came after the case was closed. Laurence M. Russell is the True Detective. The letters in full are below.